Have you heard about Cherry’s recent claim to fame…catering for Matt (cravat) Preston! We love to hear what our local venue suppliers are up to and it seems it’s not all hot kitchens and juggling knives for Cherry’s Catering. On this occasion, they’ve been mingling with the stars much to their delight and everyone involved. 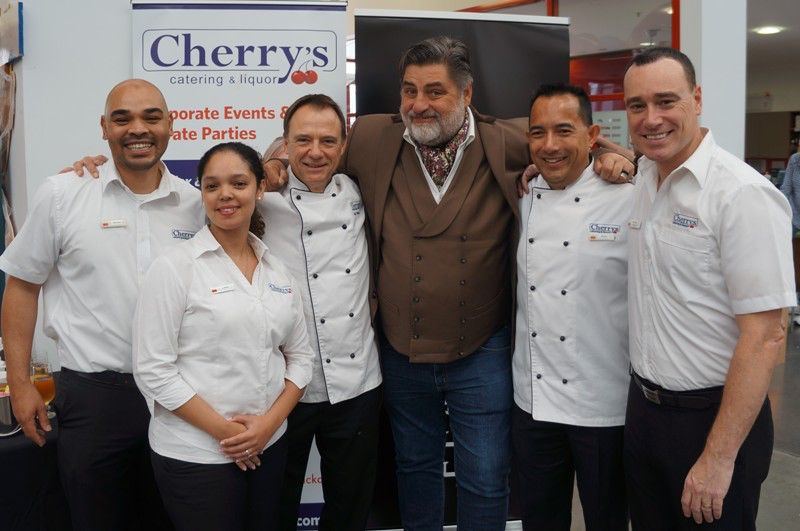 Bunnings, Armadale were the winners of the Feast Watson “national Matt challenge” and for this, they won a breakfast feast hosted by Matt Preston, catered by Cherry’s Catering! The lucky guests were treated to a breakfast cocktail feasts consisting of Smoked Salmon canapés / Roma Tomato, Brie & Basil pesto / Wild Mushroom & Thyme vol au vents / Cocktail Quiche / Corn, Quinoa & Feta Arancini / Mini Rosti with Gruyere & Prosciutto / Zucchini & Corn Fritters / Petit Fours.